We are looking for innovative new vendors and fresh hot performers! Calling all entrepreneurs: Enter our Walk the Talk new vendor contest to win a free booth and startup cash! Stop sitting on the sidelines and jump start your business idea. 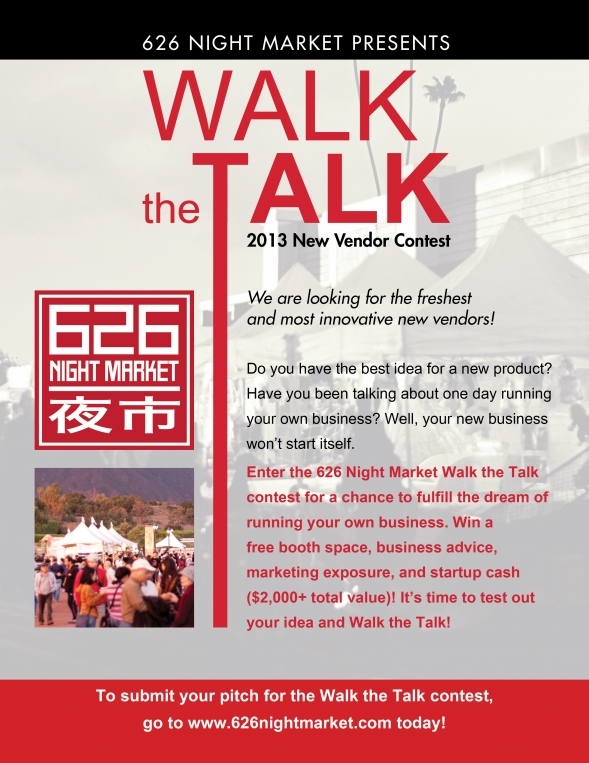 The 626 Night Market is a great platform to validate your new food or product with 40,000 customers per event. Our top vendors gross over $15,000 per event. We are looking for the most innovative new food or products so if you think you have what it takes, enter now! Check our some of our successful vendor and business stories on our blog. For regular vendors, spots are filling up fast so do not delay!